Motherly instincts always kick in no matter the specie. Here, a mama elephant tries waking her sleepy baby, but to no avail. She becomes more nervous and stressed out the longer he just lies there. So that’s when a keeper steps in to help. 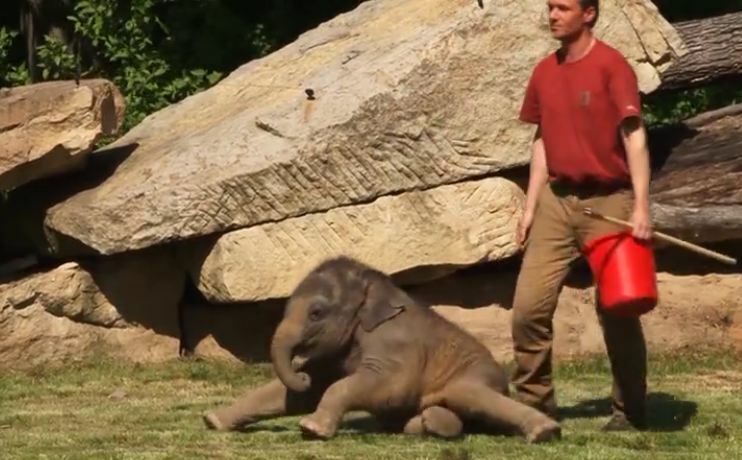 The Prague Zoo employee is able to wake the young one and ease the mother’s mind. All is well! It’s amazing how human-like her concern for her baby is. Elephants are such smart, emotional creatures.